Australia's James Spithill wasn't just out to impress his boss Larry Ellison today (who also happened to be onboard), he was also determined to add the Fleet Racing Championship to the Match Racing Championship he won yesterday and become the first skipper to secure a double win at an AC World Series Regatta. Emirates Team New Zealand powered off the start line to lead the fleet of nine AC45s into a tight, nail-biting and action-packed turn at the first mark just a few hundred yards away. 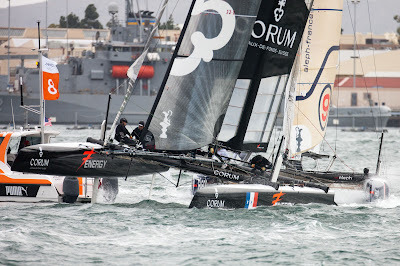 While the Kiwis team took the lead early, on the long upwind leg Artemis Racing charged their way up to the front of a very tightly pack fleet by the top gate. ORACLE Racing Spithill chose the favoured top mark and was soon in control to lead the fleet downwind at speeds peaking at 25 knots. Artemis Racing suffered a near disaster at the bottom mark when their headsail failed to deploy cleanly and they almost capsized. 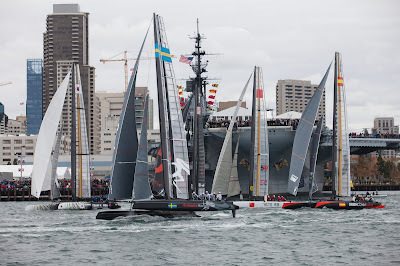 As Spithill accelerated away, half the fleet of Team Korea, Emirates Team New Zealand, Energy Team, and Aleph fought tooth and nail for second place. Korea had the first advantage, then the Kiwis, as the pair were locked together and only seconds apart for most of the race. The Kiwis and both French boats slipped past the Koreans when they gybed badly. 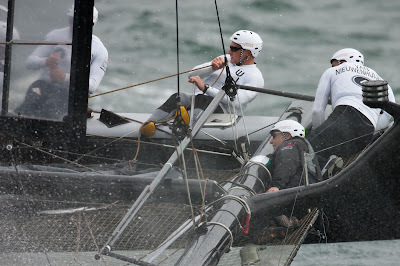 Emirates Team New Zealand took second with Energy Team just one second ahead of Aleph for third, and Team Korea in fifth. Despite making a late charge Artemis Racing’s Terry Hutchinson only managed a sixth place just one second ahead of China Team, while Green Comm Racing and ORACLE Racing Coutts held up the back of the fleet. San Diego is the last event of the calendar year for the America’s Cup World Series. 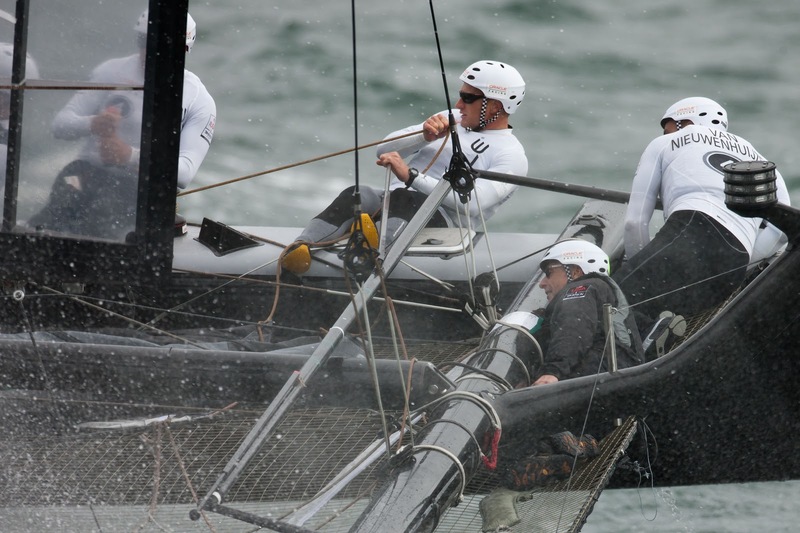 The teams will now commence four months of winter training before the next AC World Series regatta in Naples in April 2012 followed by Venice in May.